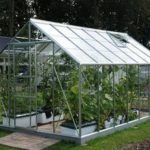 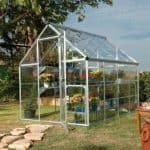 This 8 x 12 polycarbonate greenhouse has a fantastic frame around it, as well as polycarbonate glazing that makes it a very durable and safe construction. 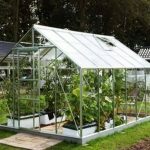 The frame has been created using PVC, and this creates a strong and durable frame that is also resistant against rust. 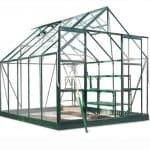 In the roof are vents that allow for easy regulation of temperature. 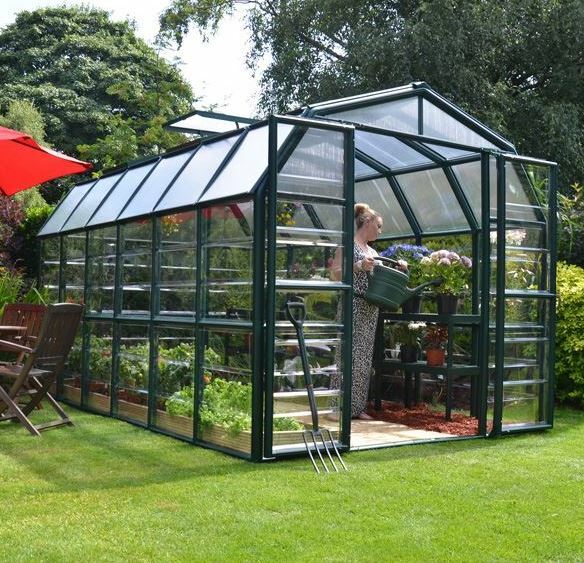 This makes a big difference if you are trying to look after and cultivate sensitive plants. 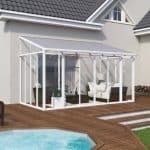 The glazing around the building is 100% shatterproof as well, so even if there is extreme weather there is little chance of damage to the interior. 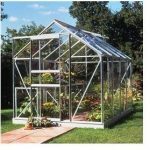 Finally, the construction has hinged double doors that bring immediate and full access to the very spacious interior.